After the release of the main poster for the final part of the Hobbit trilogy, there was a vote on social media to decide what poster would be released next. unsurprisingly, Gandalf won that one! 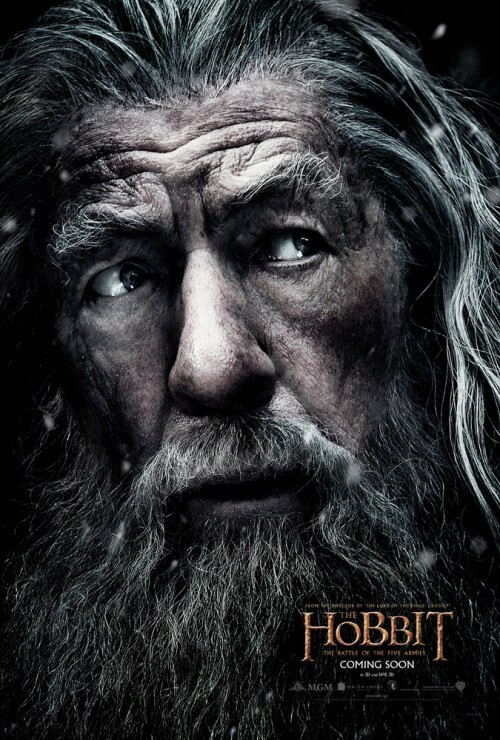 It’s the sort of poster that could have been used for any of the previous 5 films that were set in Middle-earth. All you need to do is change the name of the film and bingo! A new vote is now under way for another reveal tomorrow – visit The Hobbit Trilogy Official Facebook Page to cast your vote for Tauriel or Galadriel.